Once we know the Size, material, drive method we can provide you with one competitive price quote within 24 hours. Except our legal holiday, it will take 1-2 weeks for us to finish all your orders’ production. 7. 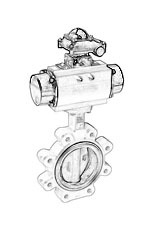 Do you have butterfly valve related accessories? Yes, we have. We have accessories: pneumatic actuators, electric actuators, limit switches, solenoid valves, etc. POV VALVE is established in 2004, we, as a member of the Alibaba’s Golden Trusted Supplier and the Made-in-China’s audited manufacturer, we have more huge customers in more than 80 different countries of this world. 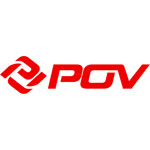 From 2004 to 2013, POV VALVE’s all projects around the whole world can be made our customers feel 100% satisfaction. C,We will attend China Spring Canton Fair and China Autumn Canton Fair every year, welcome to visit our booth at that time. Welcome you to become our sole agent firstly. According to different countries’ demand, if your yearly purchase quantity from us can reach 10000 to 30000 pcs you could be our sole agent in your country. If you wanna know exact quantity requirement for each country, pls feel free to contact us at any time.